I have another mishmash of images for you - some which date back a few weeks - some which are more current. 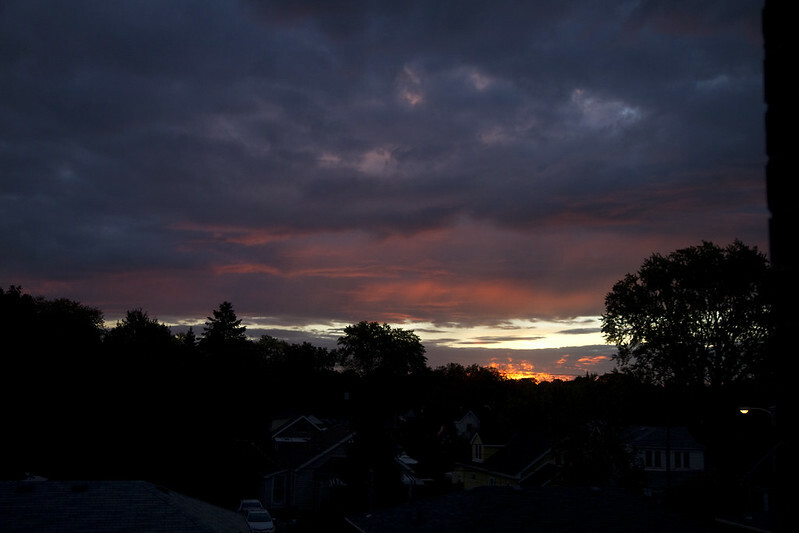 One early October morning, the day broke in cloudy hues. A moment later, a band of colour lit the underside of the clouds and danced in colours that only nature can imagine. A couple of months back, I was having lunch at an outdoor table in the colourful town of Warkworth. 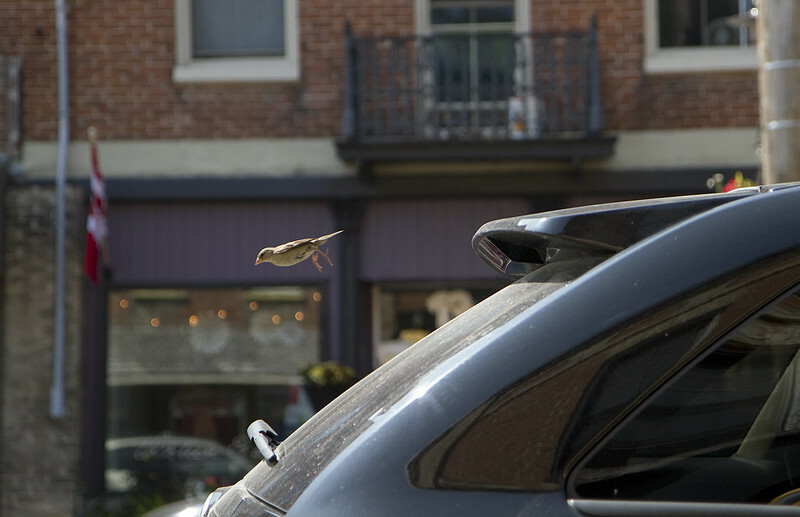 I was watching this little bird considering its takeoff. And then it did. 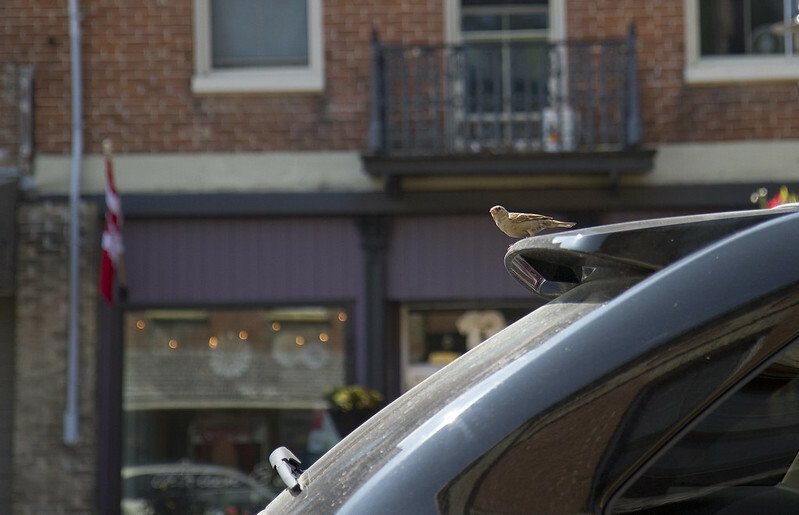 I like how it appears as if the bird is in position to embark on a small roller coaster ride on the string of eight lights in the window. Also in flight, was this little sweetheart. 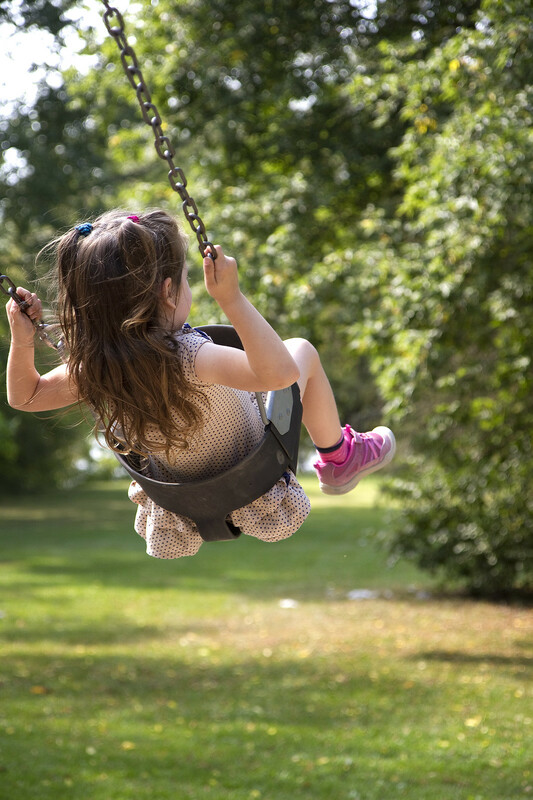 She and I chatted for a long time while we each sat swinging. She educated me about the complete storyline of some TV show or movie and she even stopped swinging every now and then to draw the characters in the dirt. She insisted that it's all a true story because her MUCH older brother (he's 6) said it was and he always knows. It was a lovely chat. 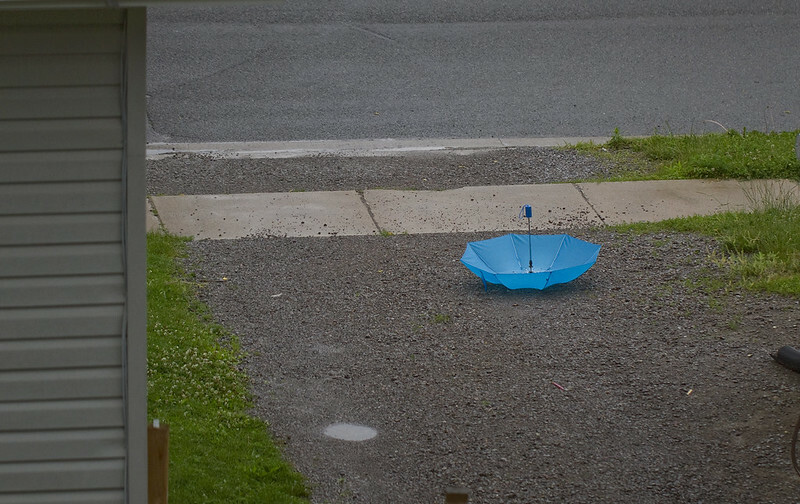 A different little girl dropped her umbrella one windy, rainy day and left it to collect a puddle on the inside. 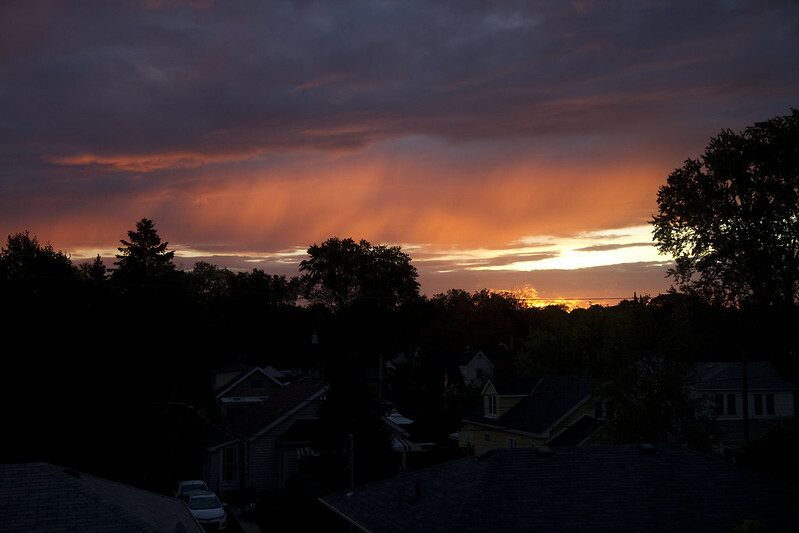 This was photographed from my apartment window. 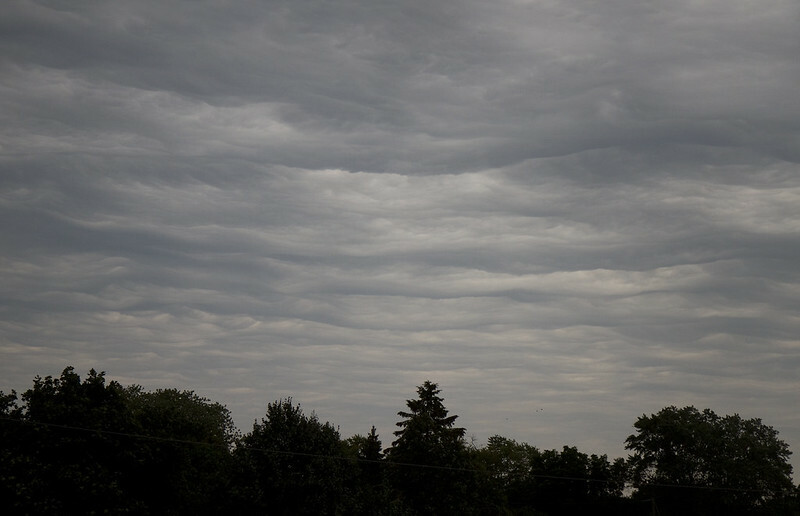 On another rainy day, these clouds seemed to be almost undulating in the sky. It reminded me a little of Van Gogh's kind of sky. 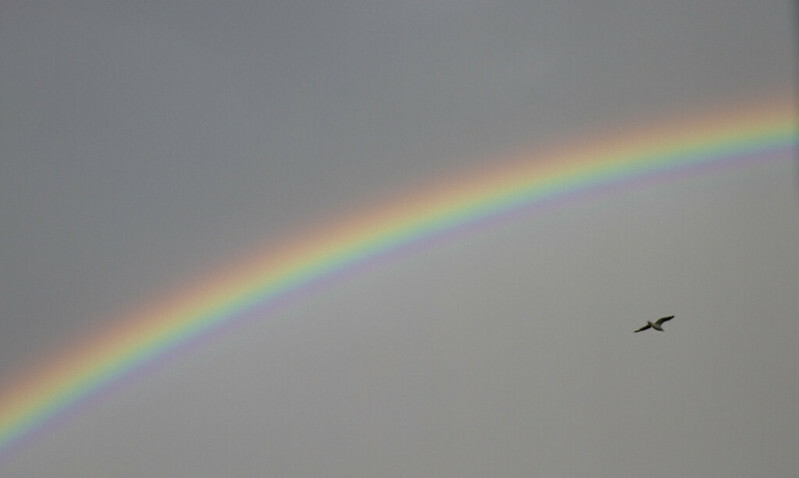 Rainbows - that ever hopeful transition between rain and sunshine. 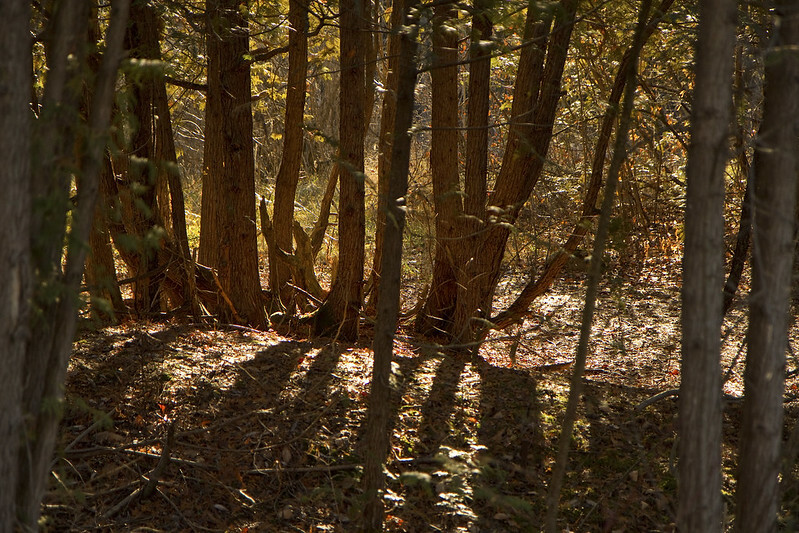 Autumn along the sunlit woodsy trails of Jackson Park. The vibrant colour of algae when the sunlight hits it just right. 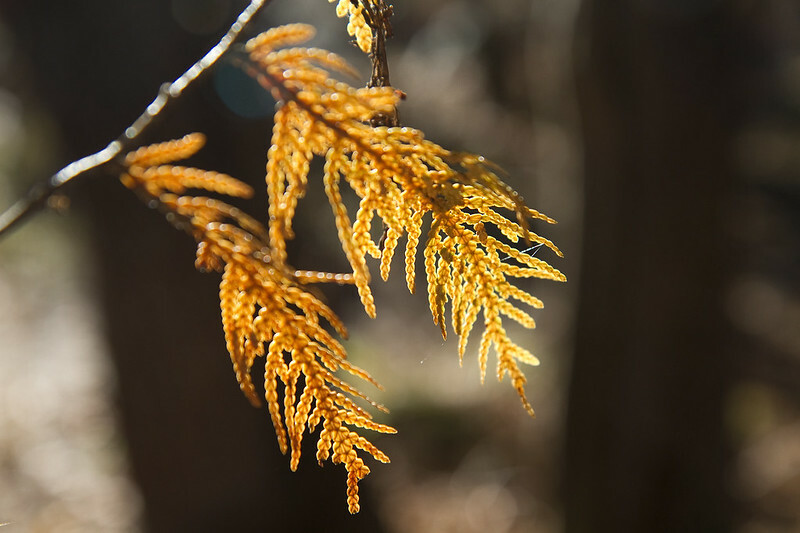 Aging cedar fronds enjoying the sun's soothing ministrations. 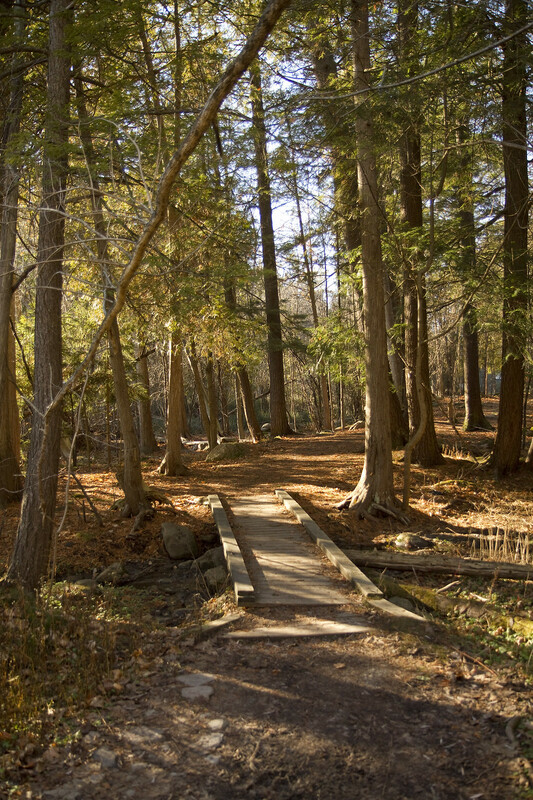 A small boardwalk over a stream and between the trees. 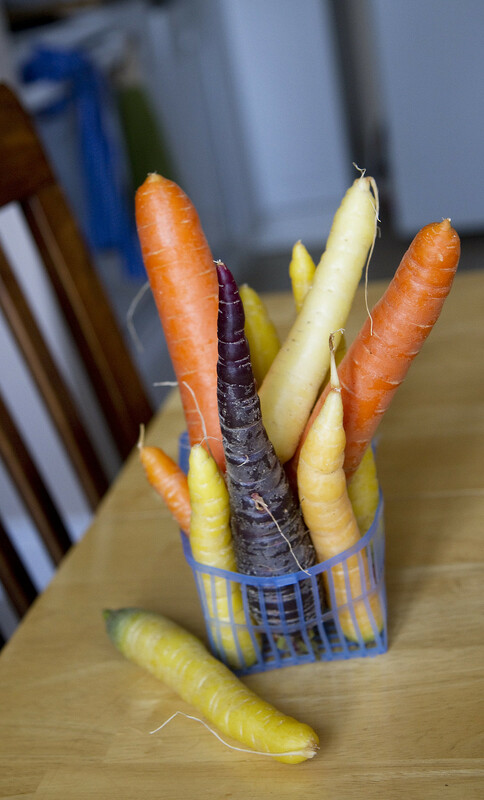 Also sun-kissed are some end of season colourful carrots from the Farmers' Market. 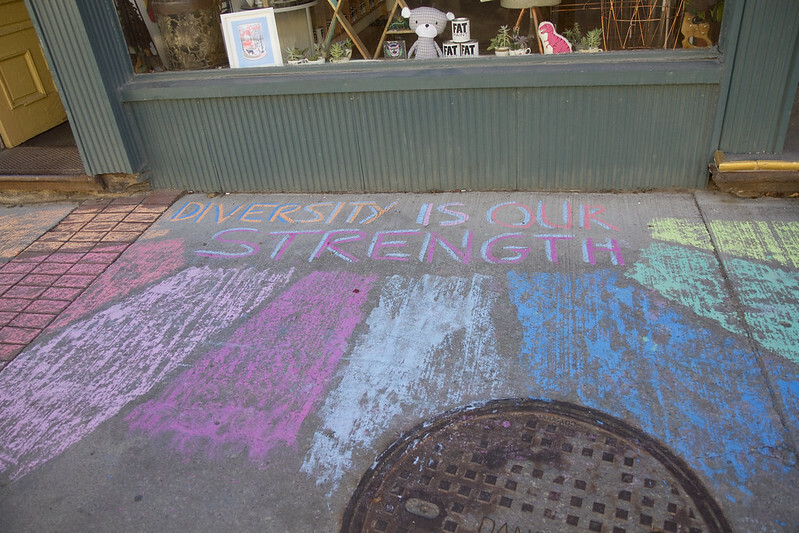 And another colourful display expressing our support of diversity. 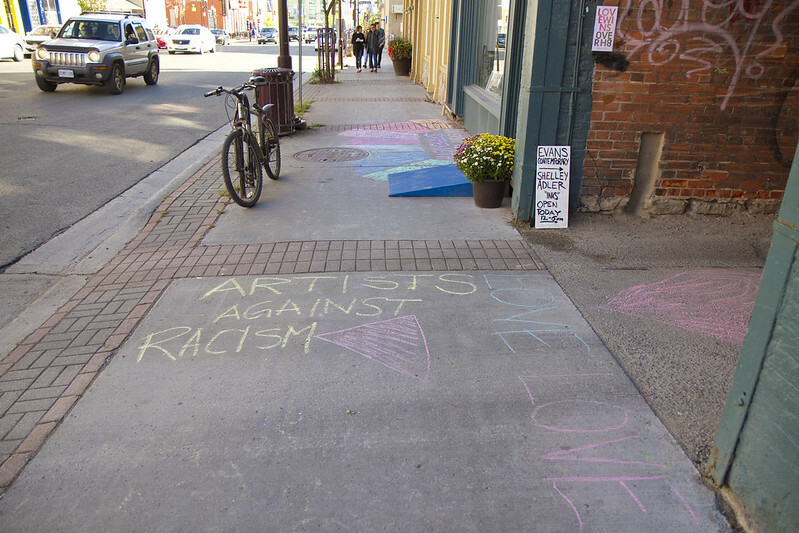 Sidewalks all over Peterborough were expressing inclusion and support during the Love Lives Here movement late in September. Gotta love the positive spirit of Peterborough. Note the "Love Wins Over Hate" sign partway up the alley wall. This photo goes way back to mid July. The boats are all gone from the harbour now. Summer stayed late but now she is done. Autumn is breezing through town in a hurry. It won't be long until the season changes once again. Hopefully, it will continue to offer something new to photograph. Thanks for indulging me, once again. 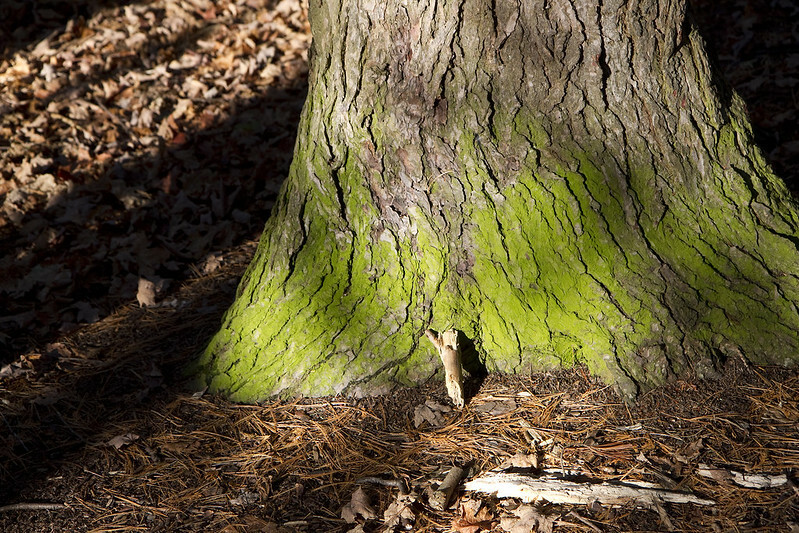 First thing we'd climb a tree. And maybe then we'd talk. Or sit silently. And listen to our thoughts. With illusions of someday, cast in a golden light. No dress rehearsal. This is our life. This is what happens when I don't post for a long while - I end up posting all sorts of summer scenes in October. Of course, our autumn has been so incredibly summerish this year that you could hardly tell the difference. No? Okay fine.. just go along with me. I have images to share and they are found below. 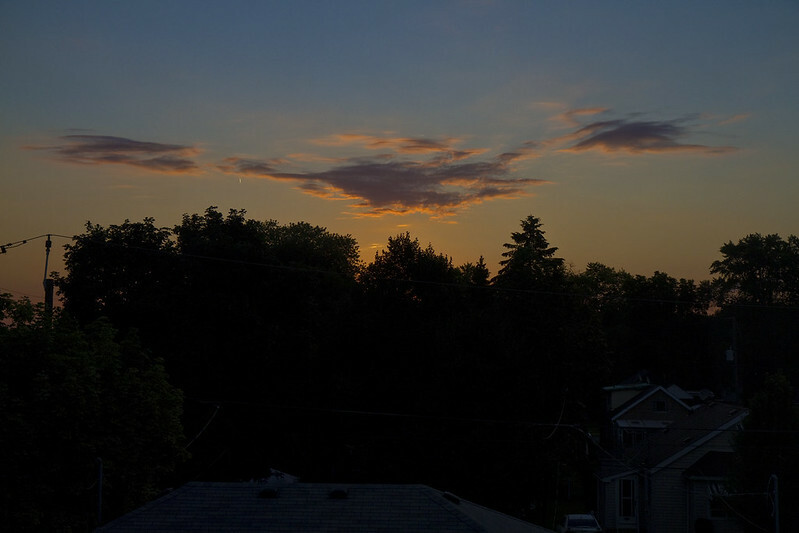 Sunrise is now happening a little later each day but back in summer this one peeked into my apartment pretty early. This is MusicFest. 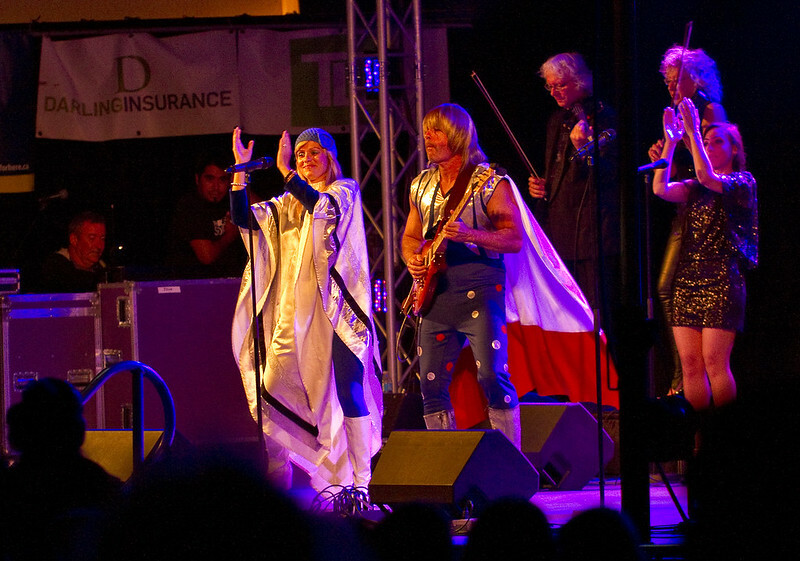 Every summer, Peterborough has free live concerts in the park on Wednesday and Saturday evenings. I've posted about them before - including some of this year's performers. 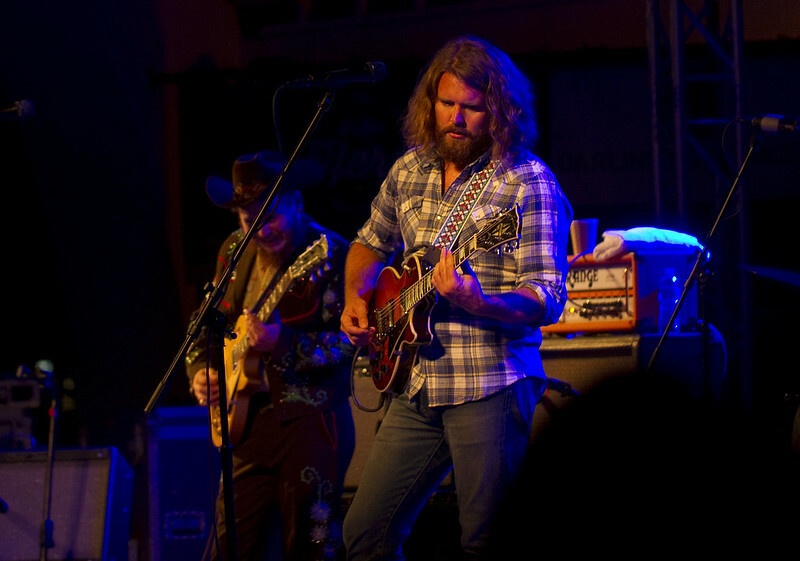 On one beautiful summer evening, there was a fine performance by the fabulous Sheepdogs. 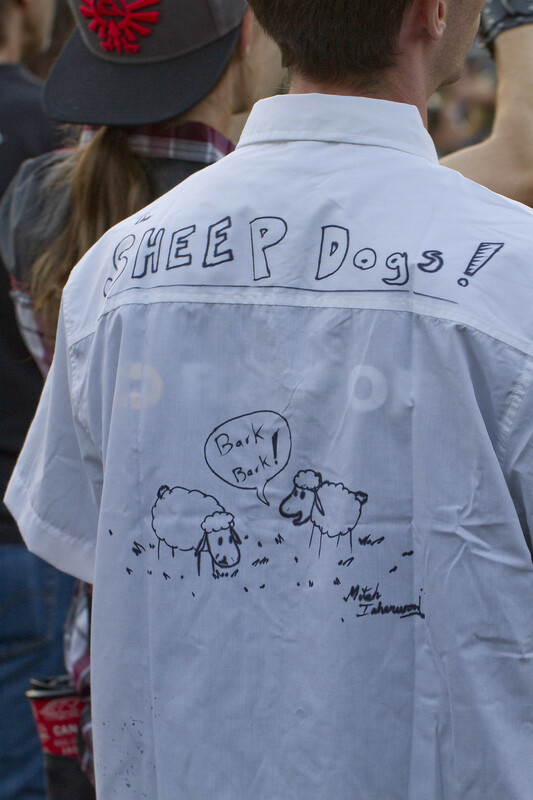 A fan with his shirt designed by a local young artist. Toward the end of the season, we had a fun night of ABBA and Bee Gees cover groups. I think it's obvious which one this is. 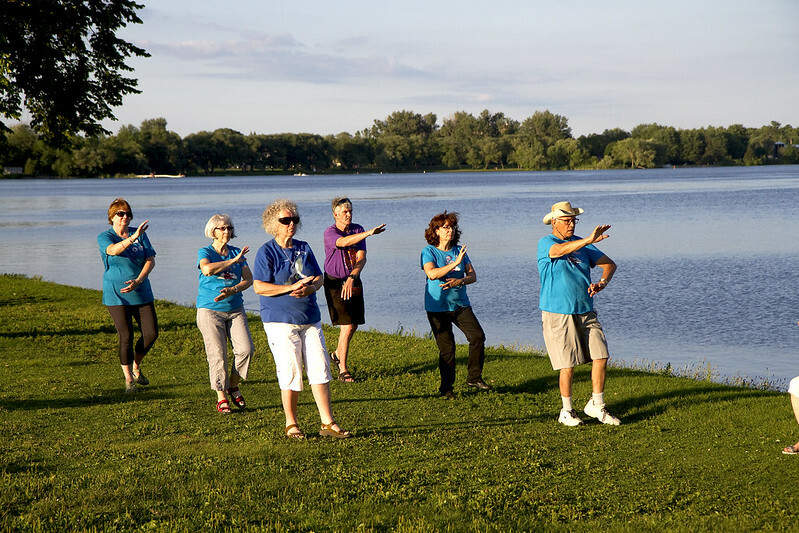 During one of the concerts, this group was practicing their Tai Chi. 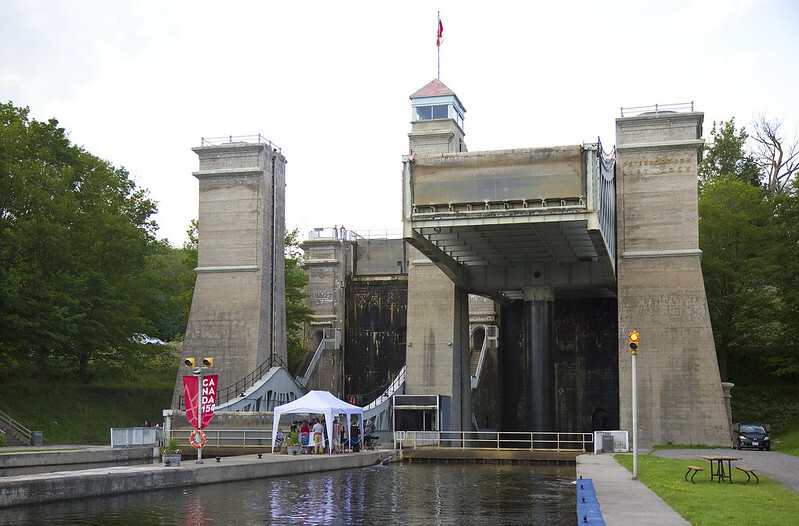 Once a month, during the summer, Peterborough hosts a multi course "Dinner Under the Lift Lock". I had somewhere to be that evening but I decided to stop by for a little while with my camera. 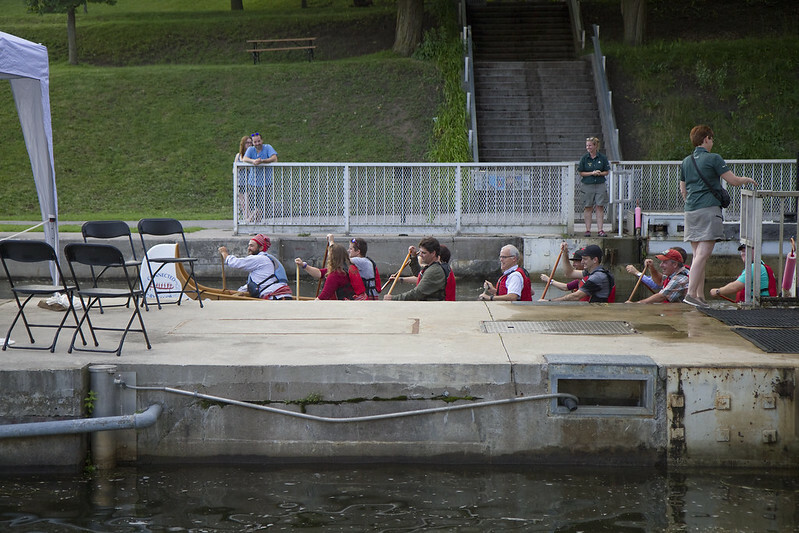 I arrived in time to see chefs and guests arrive by Voyageur canoe. This wasn't exactly under the liftlock. 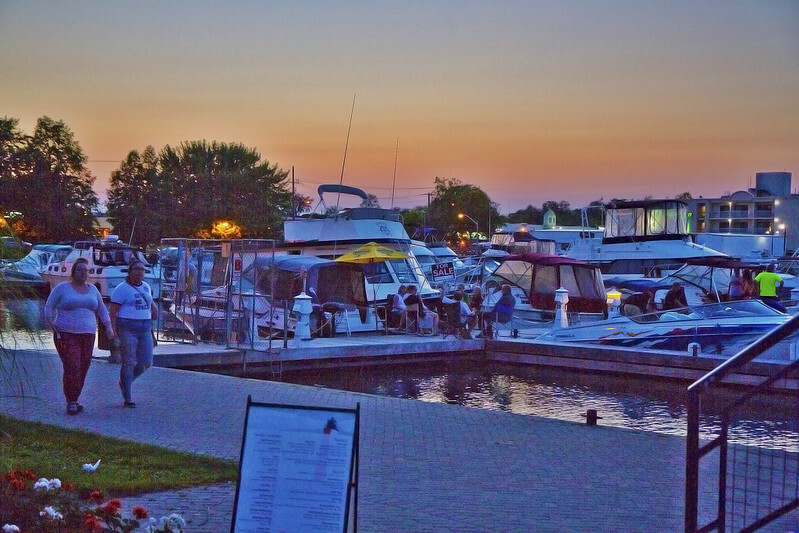 Since it was early, I was only able to witness guests arriving for drinks and appetizers before their tables were being set up under the lock. I needed to hurry off but please check out one person's experience from last year. It's pretty interesting. Perhaps I'll catch more shots next year. 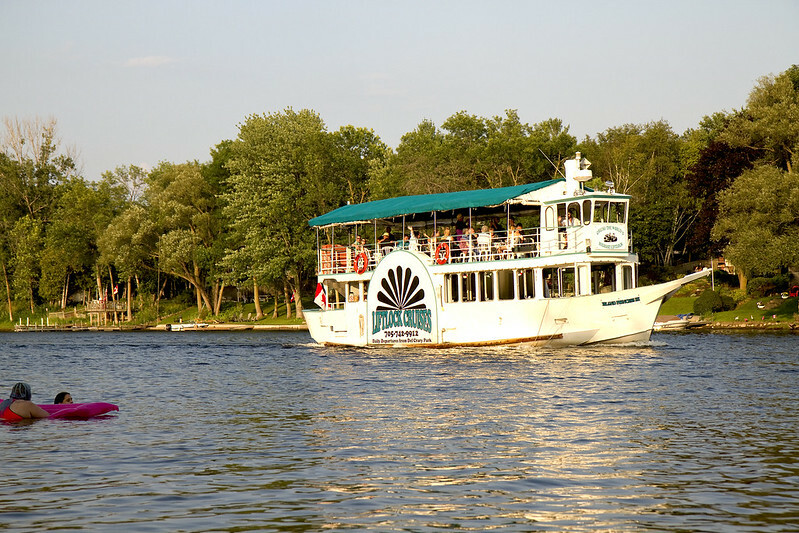 And of course it isn't summer without catching sight of the Liftlock Cruise boat several times a day. 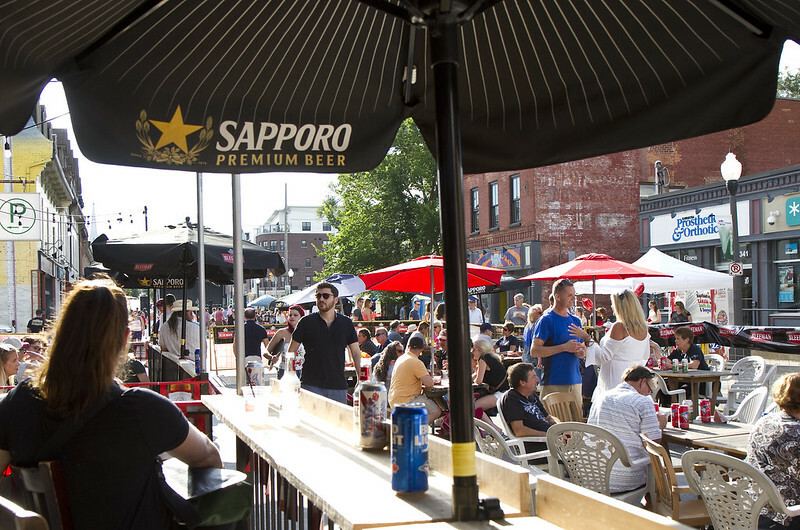 One Saturday each August, the usually-busy Hunter Street is closed to traffic and turned into a gathering place featuring music, food, drink and partying. It's the Hootnanny on Hunter. My good friend, Dakshina and I were trying to figure out if this couple standing on the right knew each other but hadn't seen one another for a long whilee.. or if we were witnessing the beginning of a new romance. What do you think? A dog walks into a bar... Well no, not really. 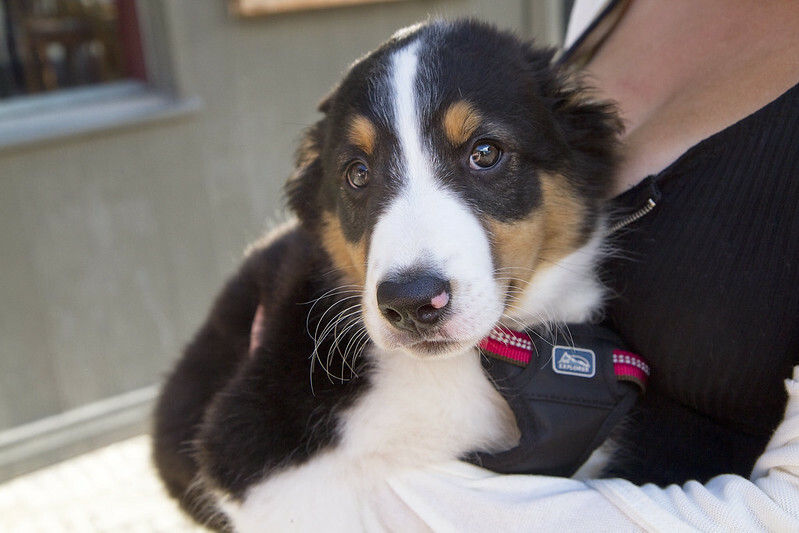 We were at the above bar during the Hootnanny when "Dougie" the puppy was carried into the bar. And yes, his fur was as silky soft as it looks. 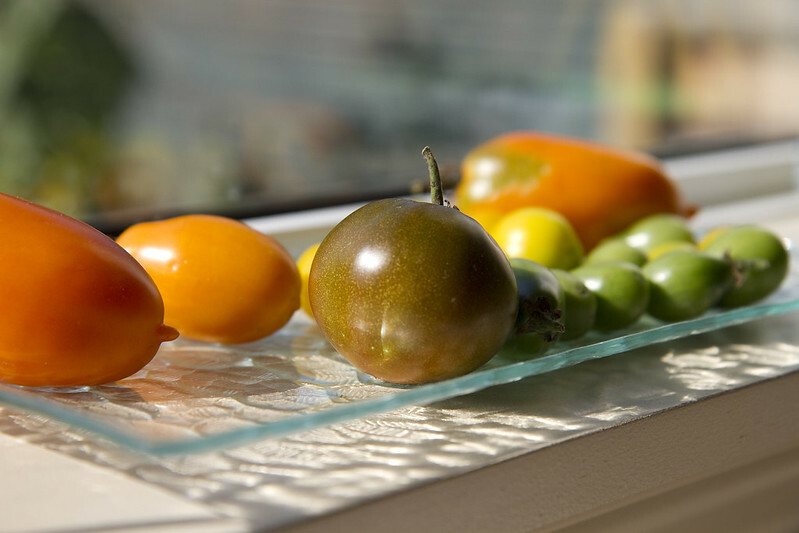 Summer tomatoes ripening on the sill from my dear friend, Carol Anne's garden. 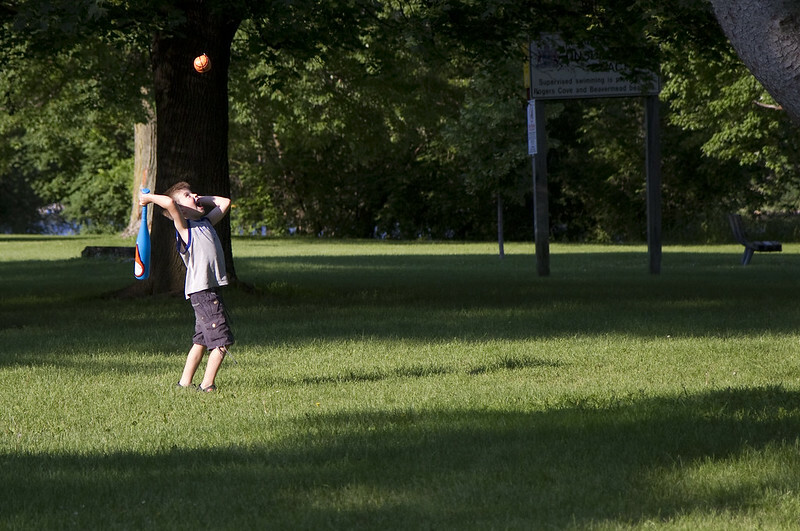 This little slugger was having a blast hitting the ball around in the park. 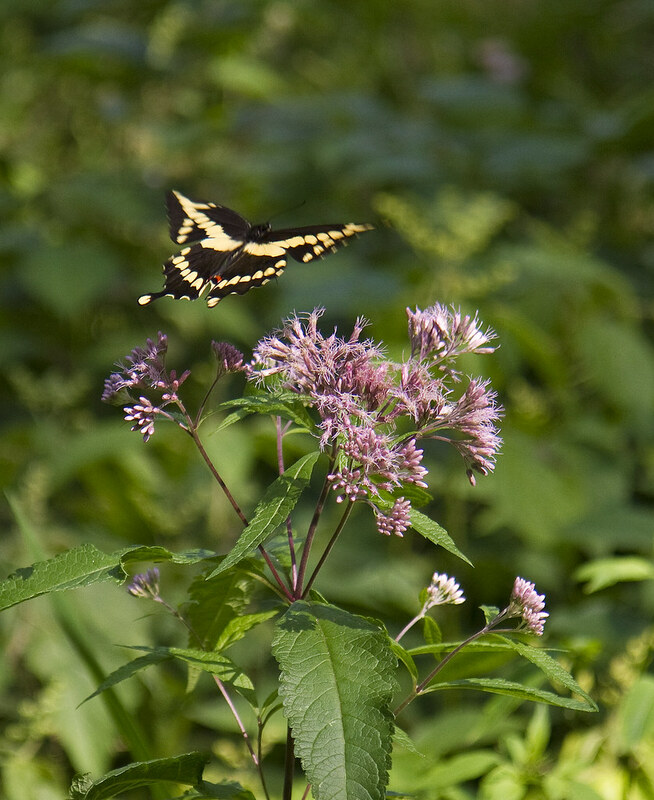 A yellow admiral enjoying the milkweed captured in flight, just after take off. 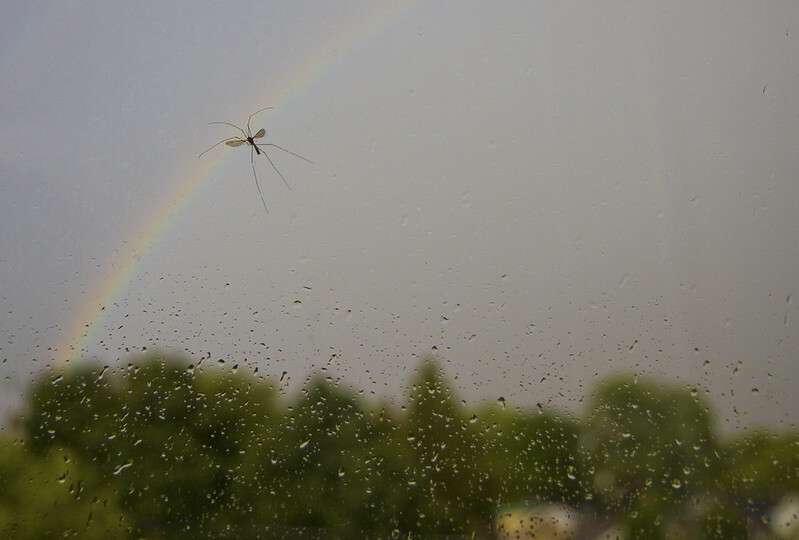 Somewhere over the rainbow, Crane flies fly. ZimArt has to be seen to be appreciated. A short drive from home brings us to Rice Lake in Bailieboro where curator Fran Fearnley runs an amazing outdoor sculpture exhibit. 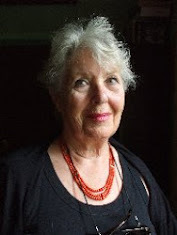 Each winter, she travels to Zimbabwe to select an artist-in-residence who will reside with her through the summer to display and sell his or her art. Truly, this is a post all its own and hopefully down the road, I might expand further. 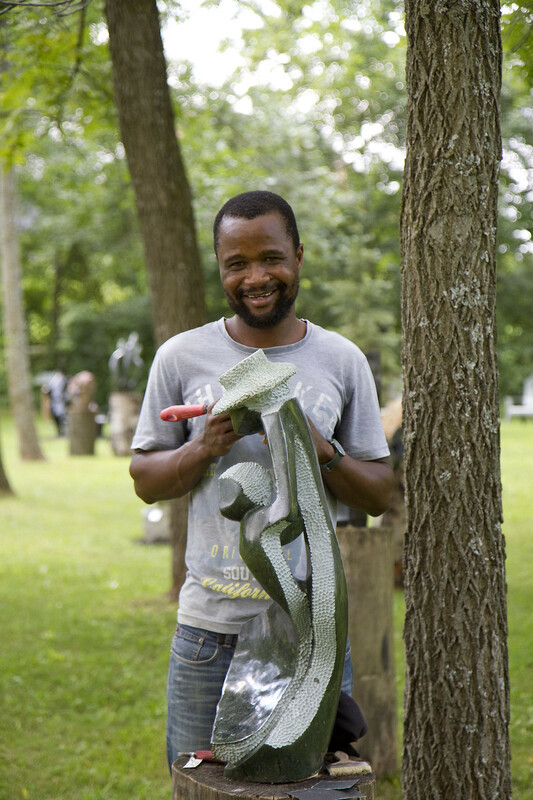 This year's artist-in-residence was this handsome young man, Rufaro Ngoma. 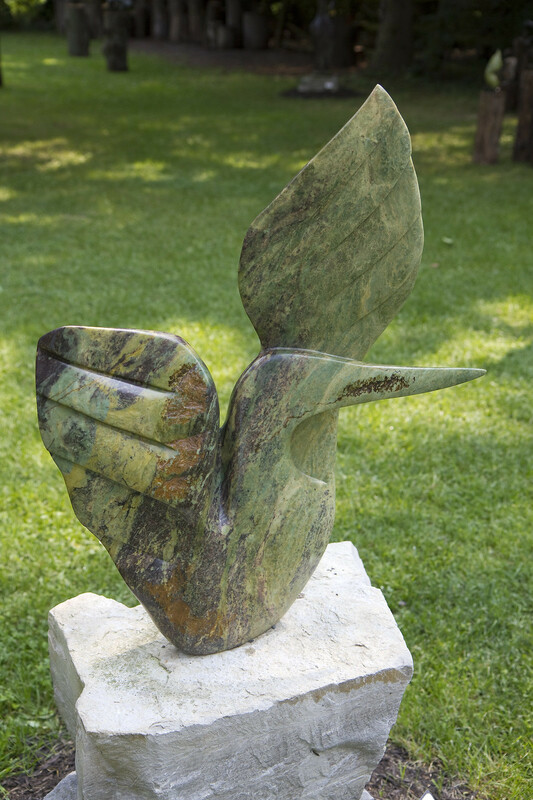 He was making his way around the acreage cleaning some of his many sculptures. 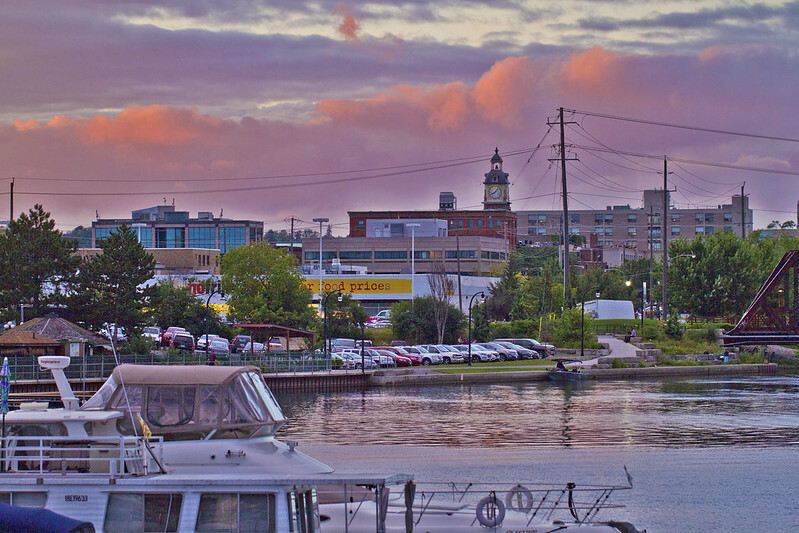 Coincidentally, about a month after I visited, I was walking with my son, Alex along the shore of Little Lake, back in Peterborough when we happened to meet Rufaro while he was biking around the area. I was surprised to realize that he recognized me, and even more interesting was that Alex recognized him immediately just from a quick glance at the above photo which I had just uploaded to my computer earlier that day. 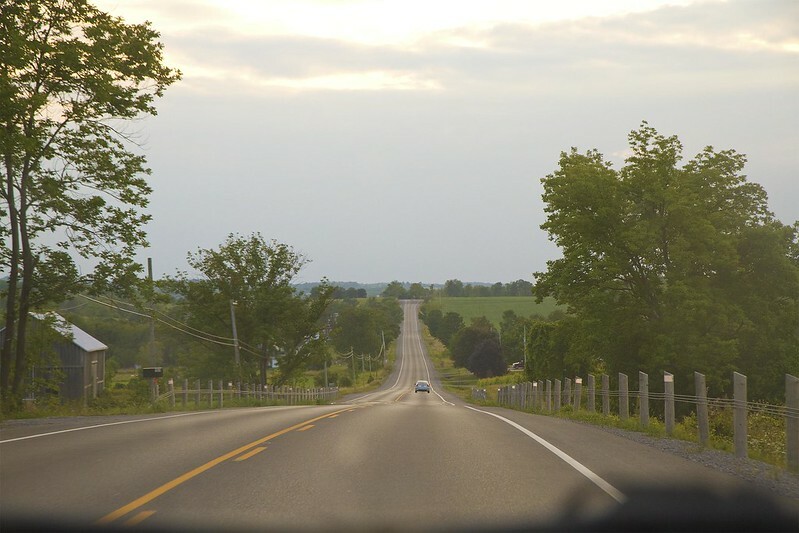 The road home is always lovely and inviting. And let's finish with an end-of-the-day view of the harbour (enhanced with Photoshop) from the upper floor of the Lighthouse restaurant. Yup, I still have more. Next time!